YA Bound Book Tours: Social Media Blitz: Inspired by Susan Schaefer Bernardo! Social Media Blitz: Inspired by Susan Schaefer Bernardo! YA Bound Book Tours is organizing a Social Media Book Blitz for: Inspired by Susan Schaefer Bernardo. This blitz will take place May 8th to 14th. No need to post anything on your blog! You only have to post buy links to your Twitter, Facebook, Tumblr, Instagram, and/or Goodreads a few times a day (no more than 3) to spread the word about the new release, Inspired! I have a few options for you. "Inspired is delightful, insightful, and charming as it encourages kids to face their obstacles and chase their own passions." (Foreword Reviews May/June 2018). http://innerflowerchild.com/inspired.html. Rocket Malone is not thrilled with the direction her life is taking. Her mom has just remarried, and they are moving from their hip cottage in Venice Beach to her stepfather’s home in Hollywood. Her best friend, Gillian, has a new friend and a new boyfriend, and Rocket feels left behind. When she finds out that her mother is pregnant with twins, she is furious. All of these problems are quickly overshadowed when Rocket discovers that she is descended from the Greek muses, and is therefore obligated to serve as an apprentice to the nine mythological sisters. Rocket sees herself as smart but not creative, and apprenticing to the muses does not come naturally to her. She tries to help several people, but just cannot find the right person to aid. Along with the fun, intelligent story about Greek gods, muses, and other mythological figures, Inspired captures the trials and tribulations of discovering oneself while dealing with the challenges of middle school. Rocket does not want her life to change, but she must adapt, learning to share her mom and her best friend while finding new ways to create her own joy. Rocket and her friends have some very serious problems. Rocket’s father committed suicide; her mother is in the midst of a high-risk pregnancy. Her friend Ryan lost his sister in a car accident and then was abandoned by his father; the home he shares with his mother is destroyed in a fire. These issues are thoughtfully addressed in the story as the adolescents learn not to blame themselves, to accept what is, and to help one another through the hardest parts. 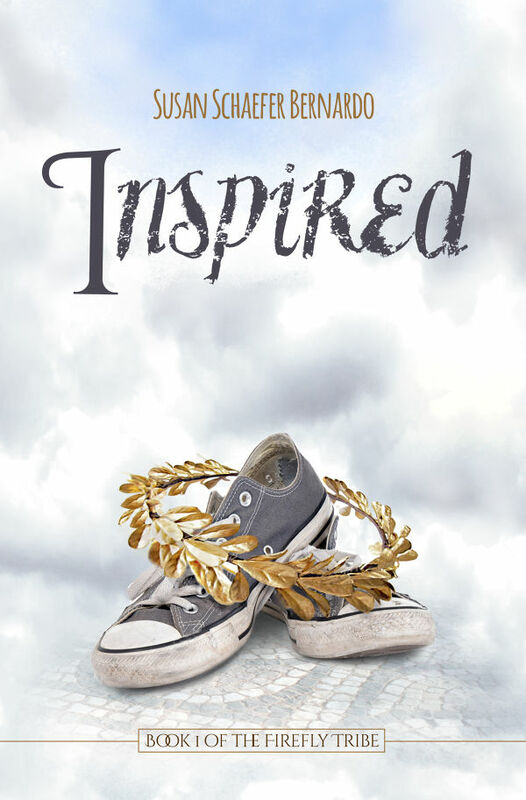 Inspired is delightful, insightful, and charming as it encourages kids to face their obstacles and chase their own passions.